Arsene Wenger’s search to find a defender looks set to continue as the Arsenal manager hopes to bring in Paris Saint Germain centre-back Mamadou Sakho, according to the Metro. With Wenger’s move for Bolton's Gary Cahill going cold and Blackburn's Christopher Samba looking to extend his stay at Ewood Park, the Frenchman has now turned to fellow countryman Sakho and is ready to bid £12 million for the PSG defender. 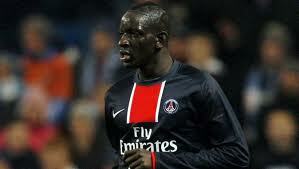 Sakho, 20, has made 18 appearances for the Ligue 1 side this season, scoring three goals, and has emerged as a regular France international after being blooded into the side by coach Laurent Blanc. Although Wenger - speaking prior to his side's 3-1 aggregate win over Ipswich Town in the League Cup on Tuesday - suggested that the Gunners are nowhere near finding a replacement for the injured Thomas Vermaelen and Sebastian Squillaci, there is some good news for Arsenal, with the latter resuming full training, meaning he could feature in Sunday’s clash against Huddersfield Town in the FA Cup. Sakho has dropped 23 places in the latest edition of the Castrol Rankings and is now rated as the 614th best player currently plying his trade in one of the top five leagues in Europe.